There was controversy at Loftus Road on Saturday afternoon when the pre-match handshake was marred by Anton Ferdinand opting to ignore both John Terry and Ashley Cole in the line-up. 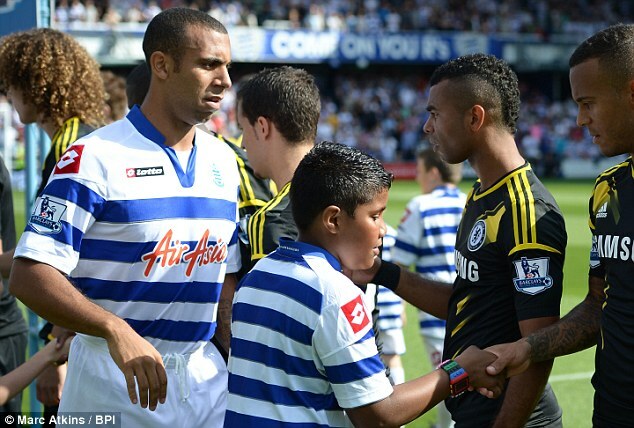 The QPR defender provoked an angry reaction from the Chelsea skipper, who was barely acknowledged by Ashley Cole, who appeared as a character witness for Terry, further down the line. Terry, who remains the subject of a Football Association investigation over the charges that he denies, had been a doubt for the Loftus Road clash but recovered from an ankle injury sustained on England duty. Ferdinand himself has been hampered by a shoulder injury. QPR fans then began making derogatory chants aimed at Terry and Cole. The pair were jeered every time they touched the ball as the highly-charged west London derby got under way. The handshakes had been abandoned in advance of the previous two encounters between the clubs. 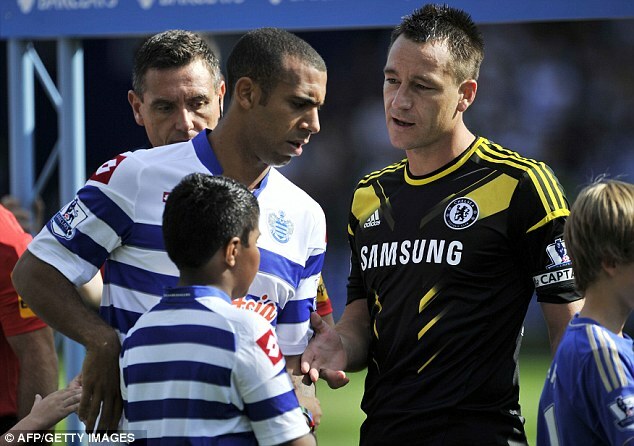 It is not the first time Terry has been involved in a handshake row. Wayne Bridge snubbed the former England captain following allegations of an affair with the Manchester City defender's former partner.